The cost of a wedding DJ will vary depending the the services rendered. If you and your spouse-to-be are planning to hire a DJ for your wedding reception, it's best to interview a few professionals in your area to get the best service for an affordable price. The average cost of a DJ depends on what you'll be expecting the DJ to do and how long he will stay at the wedding reception. Typically, you can expect to spend between $100 and $300 per hour on a DJ for the reception. Some couples choose to hire the DJ for the entire day, in which case she will also be responsible for managing the music during the ceremony. This may reduce the overall cost slightly, since the more time you book with the DJ, the cheaper the total bill will be. Generally, you pay half of the DJ's total charges when you reserve her for your wedding day. When a couple hires a DJ, there are a number of services that the DJ should provide, including a planning consultation with the couple. This should take place a few weeks before the wedding and will give the bride and groom a chance to go over all the songs that will play at the reception as well as the order of the songs. The DJ usually charges for four hours of music, and you should include setup and takedown of the equipment should in the DJ's total time. DJs should also provide the bride and groom with at least one microphone and audio mixer, as well as a CD player that can play multiple CDs back to back. Couples who want to save money on hiring a DJ may want to simply rent the DJ equipment and have a friend or loved one operate the sound system for the day. The cost of the equipment will vary depending on the location from which you rent it, but couples can expect to spend anywhere from about $75 to $250 for two speakers, a CD player and an audio mixer. You can also rent microphones; corded mics cost around $20 for a day-long rental, and wireless or lapel microphones are usually around $40 a day for rental. If a DJ has to work for more than four hours, he may require an additional charge or may request to receive dinner at the wedding reception. However, some couples offer a meal to the DJ either way. If a reception runs over time, the DJ often requires that the couple pay this fee in cash. If a DJ is playing music that has been prerecorded at the reception, he may charge an additional fee if the he has to attend the wedding rehearsal. Since most weddings take place on the weekends, some DJs may reduce the price of their services if the wedding reception takes place on a weekday, so it's best to ask the DJ about this before hiring her. 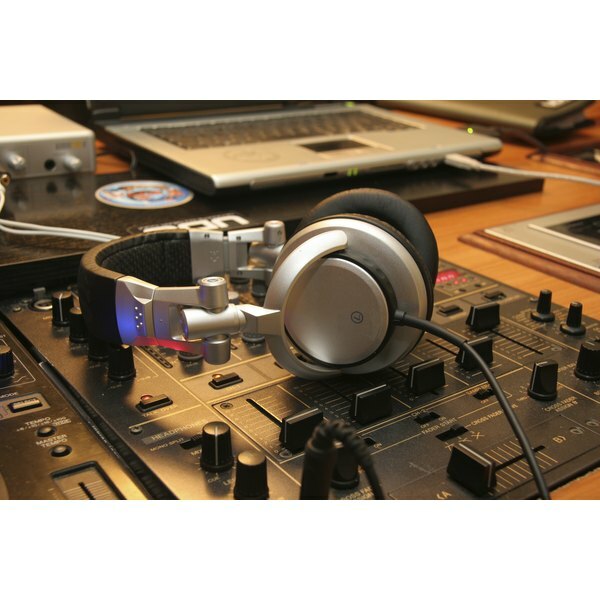 If a couple has done business with the DJ in the past for a party or celebration, this may also reduce the fee. If the bride and groom refer the DJ to another customer, this can also result in a reduction of the cost of the DJ, usually between 5 and 10 percent. Cost Helper: How Much Does a Wedding DJ Cost? Who Pays for the Open Bar at a Wedding Reception?